just a bit frayed: Introducing One Room Schoolhouse ! Introducing One Room Schoolhouse ! It's funny. Fabric designers work on new lines so far in advance that when it's time for them to finally hit the shops, you are really quite used to them! My new collection, One Room Schoolhouse is shipping to shops this week! I've been working on this line for over a year now and I'm REALLY excited that it's finally here! 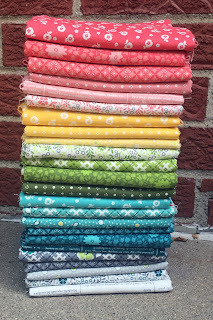 Just like with Pie Making Day (my first collection with RJR Fabrics) I got inspiration from my vintage fabric collection. But this time, I really wanted a more late Spring/early Summer feel to the colors. I still looked for prints that were smaller for quilting. 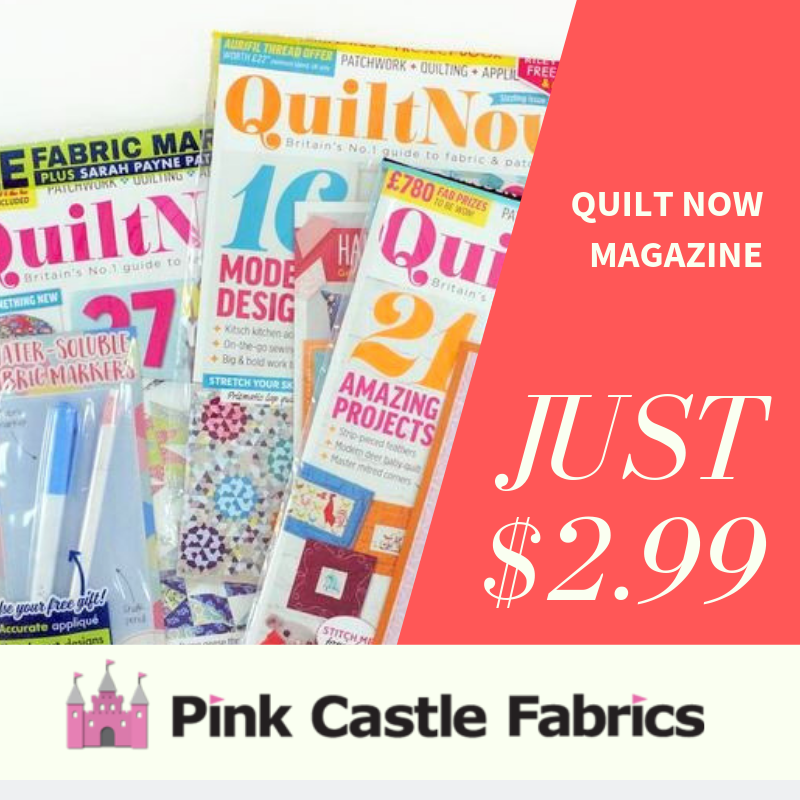 There are so many great quilting patterns out there that use small pieces and One Room Schoolhouse will work well with those types of patterns. 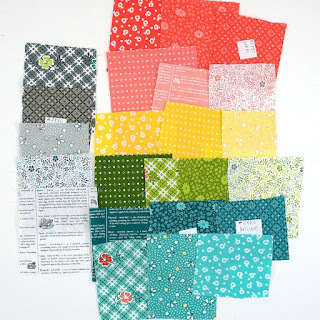 Samplers like The Farmer's Wife or Pony Club finish at a 6" block! You can still see some of the pattern on the fabric even at that small of a block with this line. 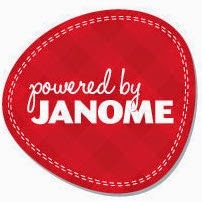 This is great for bindings too. Wouldn't the little apples look so cute as a binding?!? Or even English Paper Piecing! Of course the print that everyone has been most excited about is Dictionary in White. 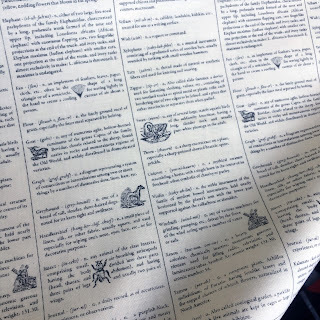 We modeled the print from an old dictionary from the 1800s. This print makes the best background fabric! It has a nice white background and the text is a really dark gray (not black) so it isn't too harsh of a contrast. We are lucky enough to have an actual one room schoolhouse in town! This was perfect for some photos! Make sure to let your local quilt shop know about my new fabric! RJR has reprinted Pie Making Day as well (the colors go well together!) so they can pick up more of that line too!